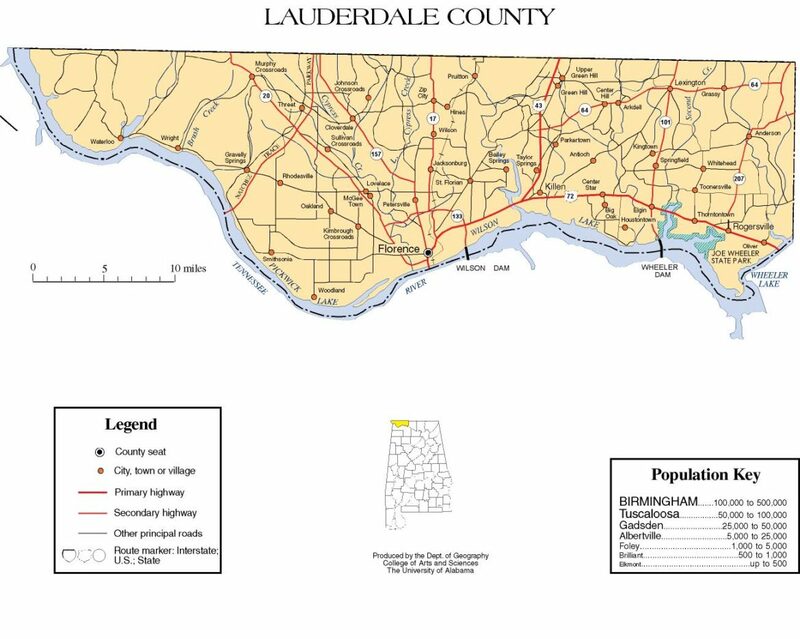 Lauderdale County was established in 1818, a year before Alabama became a state, Florence, the county seat of Lauderdale County, was also established in 1818. At this time a group of investors, under the name of Cypress Land Company purchased from the government 5,515 acres of land consisting of the original town site. Other towns in Lauderdale County competing for early settlers because of their proximity to the river were Savage’s Spring, nine miles below Florence and Waterloo, some 20 miles downriver. Florence is a city in, and the county seat of, Lauderdale County, Alabama, in the state’s northwest corner. Florence is the largest and principal city of the Florence-Muscle Shoals Metropolitan Statistical Area. Florence is considered northwestern Alabama’s primary economic hub. Anderson Alabama is situated along Anderson Creek, which empties into the Elk River near the Lauderdale-Limestone county border. Both the town and creek were named for Samuel Anderson, who built a gristmill along the creek in the early 19th century. The town was first settled around 1825 and was named Andersons Creek for the afore mentioned creek. The name was shortened to Anderson, and a post office was established in 1860. Anderson incorporated as a town in 1973. 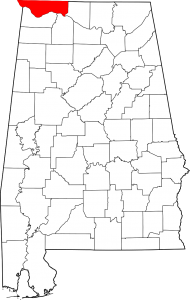 Killen is a town located in Lauderdale County, Alabama. It is part of the Florence-Muscle Shoals Metropolitan Statistical Area known as “The Shoals”. It was incorporated in 1957 and has a population of 1,108. Killen was settled in the early 1800s. In 1826, Joseph Mason was appointed the first postmaster of the new community called Masonville, later to become Killen. The post office existed until 1866. In the 1830s the construction of the Alabama Canal brought growth to the area. The canal was built to solve the navigation problems created by the shoals in the Tennessee River. Construction on the new canal began in 1875 and the 14 1/2 – mile canal, with nine locks with a lift of 85 feet, opened November 10, 1890. The canal was renamed the Muscle Shoals Canal. Lock six served as the headquarters and was located just 1/2- mile south of Killen. The canal system had a major economic impact on the development of Killen. Many of the citizens were employed on the canal and others supplied raw materials and food for the operation. Lexington is a town in Lauderdale County. It is part of the Florence – Muscle Shoals Metropolitan Statistical Area known as “The Shoals”. It incorporated in 1959. As of the 2010 census, the population of the town is 735, down from 840 in 2000. The town of Lexington was originally established on the site of four 40-acre parcels of land purchased by early settler Lewis Marshall, who arrived in 1818. The first town center was established around 1853. Wilson Lake and Wheeler Lake are both located about 10 miles south of town. The town maintains two city parks with playground equipment, a city pool, tennis courts, and a walking trail. Rogersville became an incorporated municipality on February 2, 1858. Originally known as “Rodgersville”, it took its name from Andrew and Patience Rodgers of South Carolina who moved into the area and purchased 79.8 acres (323,000 m2) at a public land sale in Huntsville on May 3, 1818. Their land eventually became what is now the downtown business district. When the Rogersville Post Office was established on October 4, 1825 with Thomas Cunningham as the postmaster, the ‘d’ was dropped from the town’s name and it has been known as Rogersville ever since. Wikipedia contributors, “Rogersville, Alabama,” Wikipedia, The Free Encyclopedia, https://en.wikipedia.org/w/index.php?title=Rogersville,_Alabama&oldid=875734891 (accessed February 8, 2019). St. Florian was first called Wilson Stand, for John and Matthew Wilson, the original owners of the town site. The present community was founded in the 1870s by a colony of Germans who named the town after Saint Florian. A post office was established at St. Florian in 1879, and remained in operation until it was discontinued in 1904. The town incorporated at some point in the 1970s, as cited by the 1980 U.S. Census. Waterloo was incorporated in 1832 on the banks of the Tennessee River. The name most likely commemorates the Battle of Waterloo. According to the 1910 U.S. Census, Waterloo was reincorporated in 1903. In the 1930s, the town was moved to its current location when the Tennessee Valley Authority completed the Pickwick Landing Dam, which impounds Pickwick Lake. Waterloo has lost a large area of land to floods and later the construction of Pickwick Landing Dam. Waterloo is the Official End of The Trail of the Trail of Tears Commemorative Motorcycle Ride. The ride commemorates the final point at which area Cherokee Native Americans were shipped off to Oklahoma and the Midwest by the Indian Removal Act of 1830. Waterloo is a stop on the North Alabama Birding Trail. The area is renowned for the nearby bald eagle population.